The 2020 Creta will be powered by a new family of BS-VI petrol and diesel engines. 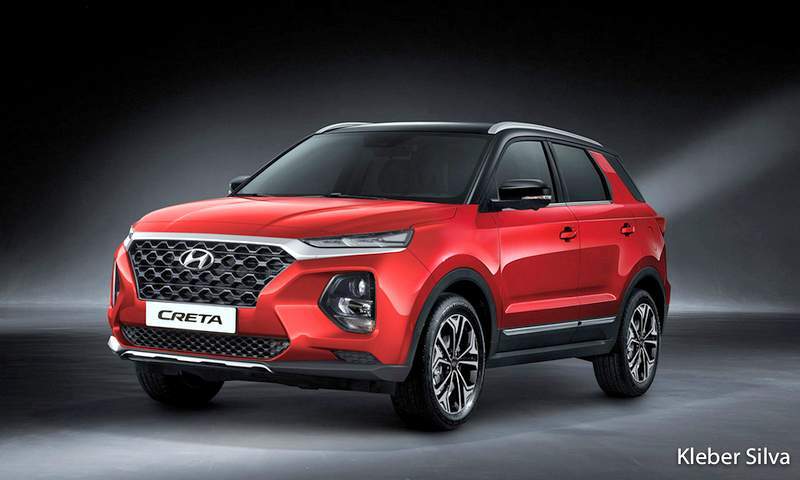 Work on the next generation Hyundai Creta is already underway with a deadline of late 2020. The first generation Creta has been a runaway success in India, so all Hyundai needs to do with the second gen model is to implement minor improvements while preserving the original car’s core traits. The second iteration of the compact crossover is expected to have a marginal growth in dimensions to ease up additional interior room. 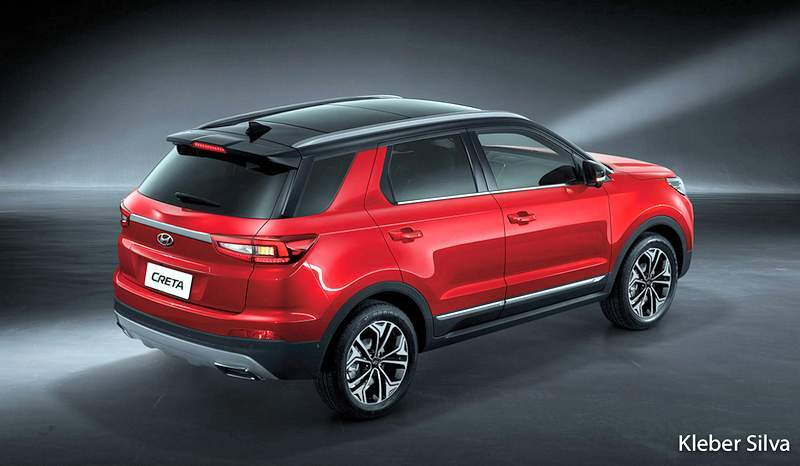 There would also be a 7-seater version of the new Creta which is slated to be introduced at a later stage. The 5 seater will rival Tata Harrier 5 seater, and the 7 seater will rival Harrier 7 seater. The 2020 Hyundai Creta will not only become larger but will also adopt the South Korean brand’s ever evolving design philosophy. The latest styling language is represented by the Kona and Nexo SUVs. Narrow LED headlamps, funkier hexagonal grille, and larger fog light enclosures are the characteristic elements of the new design theme. We also expect the Creta to receive a significantly new and simpler dashboard design. Expect the new car to add more items to the already lengthy equipment list. It has now been digitally imagined by rendering artist Kleber Silva. The powertrain lineup is also set to witness major changes. The current Creta is offered with one petrol (1.6-litre) and two diesel engine options (1.4- and 1.6-litre). The successor, however, is expected to offer new 1.5-litre petrol and diesel engines that will be compliant with BS-VI emission norms. Both manual and automatic transmissions will be on offer. This updated powertrain lineup would eventually be shared with the new Verna when it reaches its facelift phase. The 2020 Hyundai Creta would have to battle it out with quite a few equally talented crossovers that are set to be launched in India. Nissan Kicks, a compact crossover each from Volkswagen (likely to be T-Roc) and Skoda (likely to Karoq), and the soon-to-be-launched Tata Harrier are the primary rivals.